Beautiful fashion for every body. 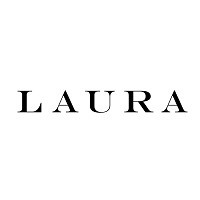 Laura Plus is the retailer Montreal women trust for stylish fashions that flatter her fit and lifestyle. Our expert stylists offer honest, personalized service, practical advice and everything you need to pick out the perfect outfit for any occasion. Shop plus-sized collections of career wear, casual wear, dresses, outerwear, accessories, and more. Discover the best fashion for sizes 14-24 at CF Galeries D'Anjou.